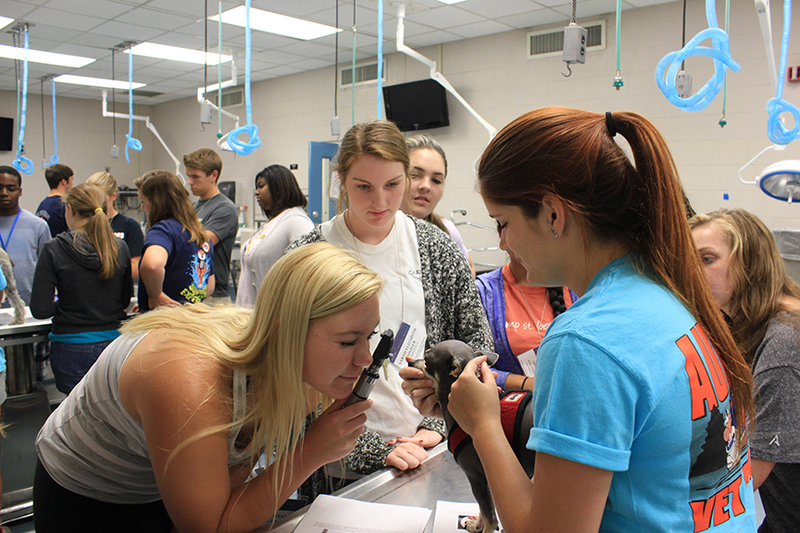 Vet Camp students get hands-on experience, examining the eye of a dog and other day-to-day experiences of being a veterinarian. Online registration for the 2016 Vet Camp – one of Auburn University’s most popular academic and enrichment programs – is open and accepting submissions. These camps are highly competitive and receive a large number of applicants for each program. Students and parents are encouraged to check out camp details if students have a serious interest in the veterinary medical profession. 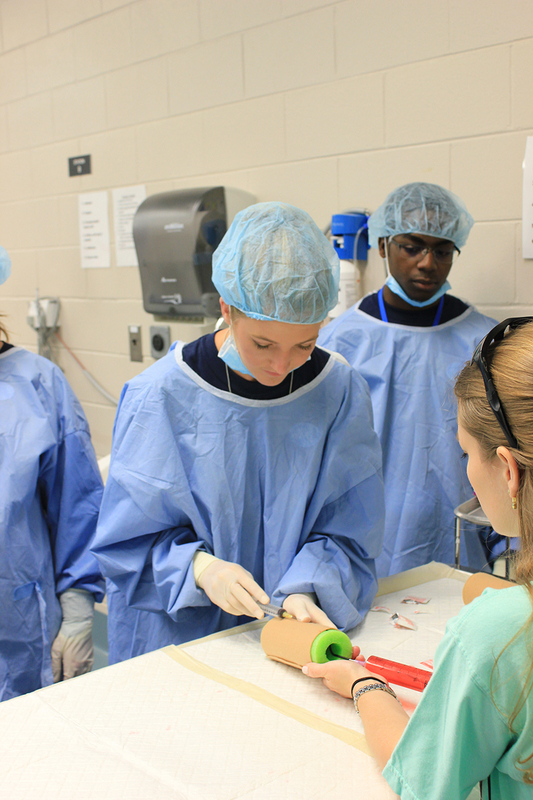 Auburn Vet Camp is a series of three separate summer programs aimed at grades six to eight, nine to 11, and high school seniors who are interested in learning about veterinary medicine while participating in fun, educational activities. While attending academic sessions at the College of Veterinary Medicine, students learn about the diverse professional career options in veterinary medicine, receive hands-on instruction by CVM faculty, staff and current veterinary students and tour a number of academic facilities on the CVM campus. Vet Camp students learn the proper way to give an injection. The deadline to submit applications is Feb. 1, 2016. Vet Camp is $775 per student, which includes lodging, meals, on-campus transportation and recreational activities and 24/7 counselor supervision. Vet Camp is competitive: eligible students must have a B grade-point average and submit a letter of recommendation from a teacher or school official, a copy of your school transcripts with a signature of verification from a school official and a personal statement from the student. Students are selected based on how grades, the letter of recommendation and the quality of their personal statement. Applications submitted after the Feb. 1 deadline are placed on a wait list. Because of demand, students can only attend each camp one time. The three camps each last four and a half days, with students arriving Sunday evening and departing the following Friday at noon. During Vet Camp, students experience campus-life while residing in Auburn’s resident dormitories, eating at campus dining facilities and be shuttled to the veterinary college’s campus daily. Camp participants will also enjoy evening social and recreational activities with our team of professional counselors. For more information and for questions, contact the college’s Outreach Program Coordinator Kris Street, via email at kris.street@auburn.edu.